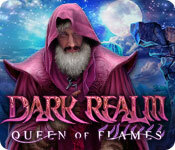 Dark Realm: Queen of Flames is rated 4.4 out of 5 by 50. Rated 5 out of 5 by dmfortsmith from Awesome game! I bought the regular game yesterday and so glad I did! It was a little challenging for me at first, but then it got a lot better. Lots of HOPs, which I love and it was a long game with beautiful scenery. Truly enjoyed it. Rated 5 out of 5 by 1289004 from Must Buy!! This is one game that is truly worth buying to play until the end. Storyline is amazing. The mini-games are varied and not the same as usual games. Graphics, sounds and cinematics are enough to make you want to play all the games from this designer. I no longer noticed anything that was happening around me. This demo will leave you wanting more and to reach the end to see who the culprit really is. Rated 5 out of 5 by Lemmonpepper from Enjoyable game Fabulous graphics. Great music. Engaging storyline. Worth trying. DEMO is a bit too short, though. Rated 5 out of 5 by Yanie1020 from Best Voiceovers Ever! These have to be real actors doing the voiceovers, especially the old woman with the round red cheeks. She's the best I've ever heard! Just a great game with lots of fun puzzles and several hours of playing time. Loved everything about it. Be sure to play the next Dark Realms game in this series. It's even better!! Mad Head is becoming a favorite developer of mine! Rated 5 out of 5 by katesutton from Great Game I think this game is one of the best of its type. It has a customized difficulty level, so you can play it however you want. Not only that - I've played "customized" games before that don't always apply your customization - this one actually works! If you turn off sparkles, there are actually zero sparkles. I'm not really a huge HO game fan exactly - I play them because I like the mystery/adventure games, and they're almost exclusively available in this format. It drives me crazy when you complete the HO scene, get a knife as a reward, use the knife, and then all of a sudden, the knife is gone. Why would I leave the knife when I'm only going to need to find a different knife later? In this game, you have a useful object that you get to keep and use more than once, and then when you leave it behind, there's actually an in-game reason for it. I wish it was like that for every object, but it's a start. I'm very happy with this purchase. Rated 5 out of 5 by kdeltakilo from Actually made me cry I have played hundreds of games. Hundreds. Out of all of them only two have brought me to tears. Dana Knightstone Death and Betrayal in Romania (I'm a sap for courtly romances) and this one. This has what I want most in a game -- a compelling storyline and characters that make me root for them. I loved these characters, especially Nathaniel, the balloon pilot, and grandpa. I got compeltely swept up and involved in their lives -- and this game. There was not one moment of boredom. Not once did I want to stop playing. It kept my interest from start to finish. I have started a lot of games lately, but they have not had compelling enough storylines to keep me interested. In fact, most of the games I've played from Eipix lately have just not kept me interested. The graphics are always great, but the storylines aren't. This game had everthing -- great graphics and voiceovers, awesome storyline, fun puzzles, interactive HOS, and an engaging way of revealing the backstory. 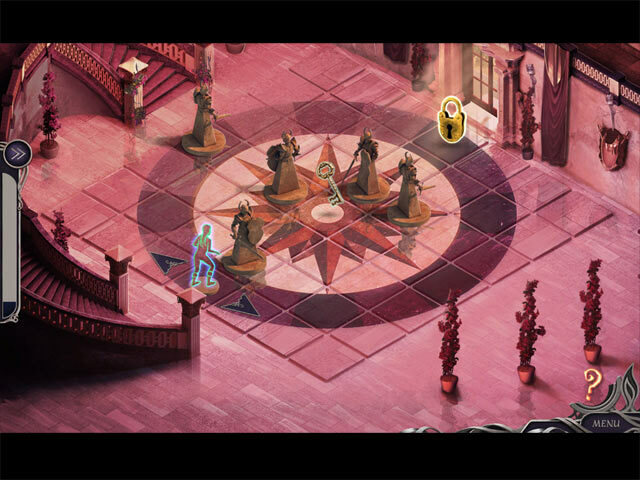 I have recently become more interested in fantasy games lately, thanks to Nevertales Legends. But this game moved me beyond interest to a brand new fan of fantasy. I can't say enough good things about this game. It's a classic. Maybe even my favorite game of all time. I've always like Mad Head games, but this has to be their masterpiece. I bought the standard edition, but I'm going to buy the Collector's Edition as well. The standard edition was great, and it wrapped up the story. However, I loved this so much I want the full experience and the after story. If you haven't played this, I highly recommend it. It's one great game. Rated 5 out of 5 by Valspar from Fantastic Game!! This is my first time to review a game on Big Fish. Best game I have played .Love the characters, great story line. unique .mini puzzles and interesting HO scenes.Graphics are superb. Ambient music that isn't distracting or overwhelming. Plus a dramatic ending.! Love this game ! You have to buy this one. ! Rated 5 out of 5 by Stixie from Fun game with a good storyline Enjoyed this game very much. It´s a game with different types of HOS. The game is longer than most games. It took me around 7 hours to complete and normally I finish a game in 3 hours. 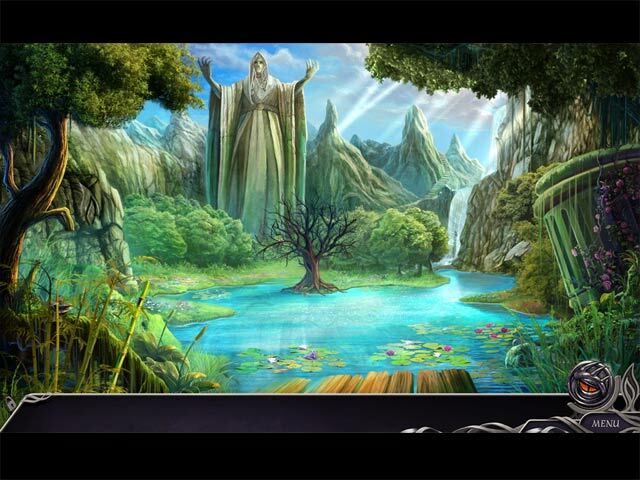 Great story about a magical land where an evil Queen has bad plans for the land. Your job is to find a way to destroy her and you meet different people on your way that will help you. 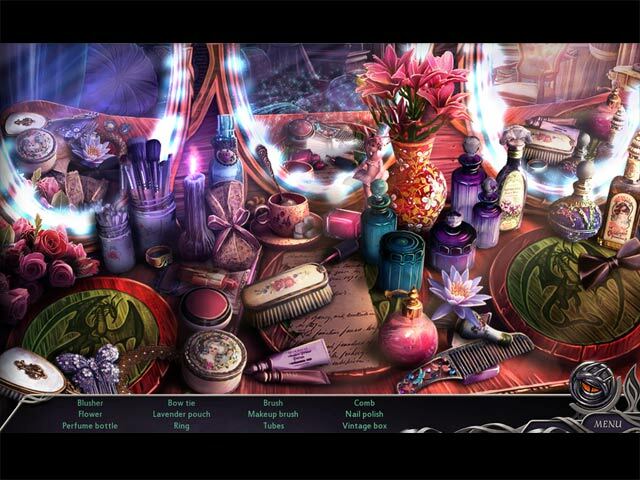 This game is worth the money and I recommend it to everyone who loves HOS games with a magical twist. Rated 5 out of 5 by lizzardst from Dark Realm: Queen of Flames This was the BEST game I have EVER played...it was fun, just challenging enough....so VERY different.. I LOVED it. I went looking to see if there were MORE of Dark Realm, anything I would have bought them all..at full price or whatever. I thought it was the best thought out game of this type I have ever played....MORE MORE!! !